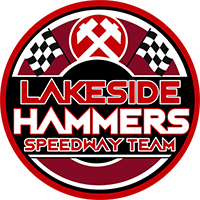 Brilliant Lakeside sent an early season message to their Championship rivals with a convincing 54-35 win over Ipswich at the Arena-Essex Raceway. A powerful performance ensured the Hammers secured three more Shield points and demonstrated their ability around home shale. A fine all-around team showing saw Will Pottinger’s side account for 10 race wins with Richard Lawson and Adam Ellis both starring with double figures. It was an excellent night for the Purfleet outfit – and Pottinger hailed his side for their classy display which gives them plenty of confidence ahead of a league opener at home to Redcar next Friday (8pm). “We’re really happy,” Pottinger said. “It was a very solid performance from all seven riders. They all put in a good shift, we didn’t have many last places and there was a good mix of points from all areas of the side. It’s a convincing win against a well-fancied Ipswich side, so I suppose that bodes well for us heading into the rest of the season. Richard Lawson 14, Adam Ellis 12, Nick Morris 8+1, Zach Wajtknecht 7+1, Kyle Newman 5+2, Alfie Bowtell 4+1, Ben Morley 4. 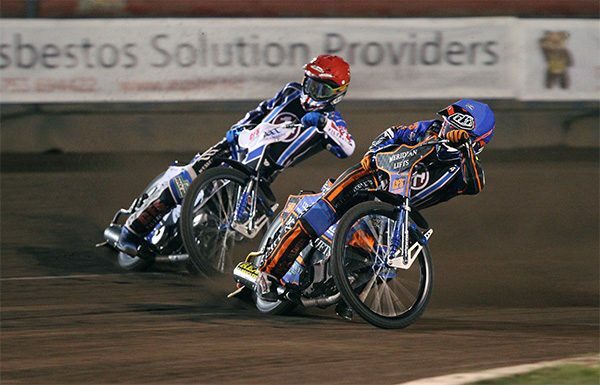 35: Danny King 12, Connor Mountain 10, Rory Schlein 8+1, Nico Covatti 4, Danyon Hume 1, Michael Hartel 0, Cameron Heeps 0.